﻿ Welcome To LDLNET LLC! Learn, Do, Live! Hi! My name is Lance Damian Lingerfelt and this site is all about my life in action, from what I do, to how I am! I have total knowledge that Success breeds Success. I've made my initials into a motto for my path: Learn, Do, Live! That's equates to Life In Action! Please take a look around! I hope you enjoy your visit, and if you need to reach me, check out my contact info below! I have an Information Technology Blog that has posts showing different things I am doing and troubleshooting methods I use in my day to day work. Feel free to have a look! You can also find out what I am doing with my Music career through my MUSIC website. I have video, pics, and information about my music career. Feel free to contact me about performing at your next show or recording for your next song or album. My goals now are to provide top notch Professional IT Servcies for businesses! 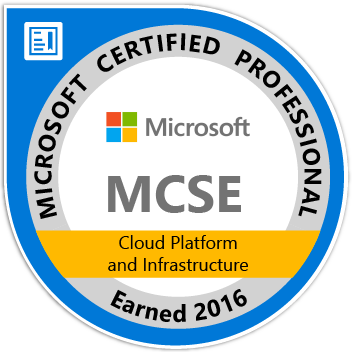 I can pefrom projects from Messaging Migration, Server Setup, Office 365 Setup, Administration, Active Directory, Exchange Server, Webiste Hosting, Network Design, and IT Architecture. I feel, that in my dealings with people, that I have an obligation now to tell the truth and be honest. That is what I am doing and that in turn breeds Success. I don't aspire to hate. I don't aspire to be caught in the drama that can devour most minds! Truth and Honesty have helped me survive for quite some time now, and I am very thankful for that privilege. For all of you wondering out and up there, it's called a CLEAR CONSCIENCE. I am currently looking for new business and can quote you on your next IT Project! I specialize in Exchange Setup, Design, Administration, and Migration. I also am versed in Active Directory, Office365, and Exchange Online. I also provide simple Web Development Services and Hosting for your website or the selling of your domain. I am currently putting together a website for purchasing all of my services. Until that is available, please feel free to contact me below for more information about your next project! Check out my IT Blog. Also, if you're looking for my resumé, it can be found HERE. I used to play Saxophone with different groups, but I haven't been able to perform music on my saxophone in a while. I am currenly working on some projects and recording as it comes to me. I am also just rehearsing in my home, looking for that next gig, and trying to rebuild my music career. If you want to contact me about any performance or recording opportunities, please visit my MUSIC website. I have video, pics, and information there and would be pleased to speak with you about any of that. I own and operate LDLNET LLC. I provide Professional IT Services, build and maintain websites, and book my music performances through my company. I've started setting up blogs like my IT Blog to show some of my skillset in Information Technology. I have also decided to sell a couple of the domains that I own. EGGPLANTGIRL.COM and EGGPLANTGIRLS.COM I can provide landing pages to help sell your domains, for a fee of course! LOL! Check them out and put in a bid! Also, if you need your website sold or hosted, contact me and we can work out a deal to get it up and posted here! I can also provide many Professional IT Services for your business! My goals are to get this company up and going, and build my brand as a saxophonist and Information Technology Professional. I'm still moving on and I have had new opportunites come my way. I want the truth to be known through my websites and blogs. Check them out: My Music Site and The IT Blog. So, my goals now are to take these new opportunities and make the best of them, keep writing in my blogs, and build my career in music, IT, and buisness to where they flourish. I will continue to play my saxophone. Contact me for availability. My schedule is wide open at the moment. Check out my MUSIC WEBSITE for more information and how to contact me for your next gig or recording session. I can host your selling of your domain on my web farm, for a fee of course! I run enterprise class servers and have great security in place to host your website. Please check out the template that i use for those landing pages at eggplantgirl.com and eggplantgirls.com. I can also build simple webpages as I have knowledge of that process if you want. Contact me for a quote! I will soon have a webstore with my available services as well. I look forward to speaking with you! Contact Me about handling any Information Technology Services you might need. I specialize in setting up corporate environments for business and am Certified by Microsoft. I have vast experience in Active Directory, Exchange, Office365, Security, and Networking. Please have a look at my resumé, it can be found HERE. If I am unable to perform the project myself, I can set something up for you or get you to the CORRECT people! You can see some of the work I do as I post to my IT Blog regularly. Let me know what you think about the website! Or, if you just have general questions!